Se han encontrado 114' Anuncios Publicados. Descripción: Hello! 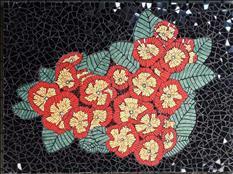 I am offering my service in mosaic art. It's an ideal option to decorate your kitchen, bathroom, living room, house facade, etc. It can be applied on walls and floors in indoors and outdoors and also on furniture surfaces like dining room, sculptures, garden fountains. I work only with broken ceramic and through of ordering. If you are interested or want to see more photos of my work, please send me a PM or though of WhatsApp +50558800934 Attractive prices. Thank you!